Almost seven years of persistence paid off for clients Leelamb Homes/Lambrose Associates on a disused nursery site at Mayland, near Maldon in Essex. The first proposals for extra care bungalows, a nursing home and a community building on this 1.8 hectare site were refused by the Council. Following a refusal for a similar scheme, Tetlow King Planning (TKP) were instructed to conduct the ensuing appeal. The appeal was considered at an Inquiry at which TKP gave extensive evidence. The Inspector subsequently refused permission. On our advice and that of Andrew Fraser–Urquhart, Counsel, now of Francis Taylor Building, the Temple, the appellants then sought to challenge the Inspector’s decision in the High Court. The challenge was principally on the basis that the Inspector had incorrectly considered the scheme as falling within Use Class C3 (general housing) rather than Use Class C2 (care). Indeed it appeared that the Inspector had overlooked the contents of a completed Unilateral Undertaking to this effect. The legal challenge was upheld and the Inspector’s decision was thereby quashed. The case of Leelamb Homes Ltd v the Secretary of State for Communities and Local Government and Maldon District Council has subsequently become well known and widely quoted. Andrew Fraser-Urquhart appeared for the appellants in the High Court. The appeal reverted to the Planning Inspectorate for reconsideration, this time as a Use Class C2 proposal. 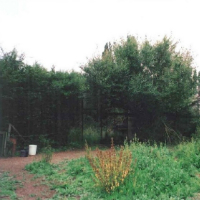 Following a two day public inquiry, the new Inspector again rejected the proposed development on the grounds of the sustainability of the location on the edge of the village of Mayland; the overdevelopment of the site detracting from the character and appearance of the landscape and the need for the development not being critical. Following the appeal refusal, the clients devised a smaller scheme comprising just a 60 bed single storey nursing home for dementia sufferers. The application was approved, subject to the payment of a small financial contribution to NHS North Essex and various planning conditions.